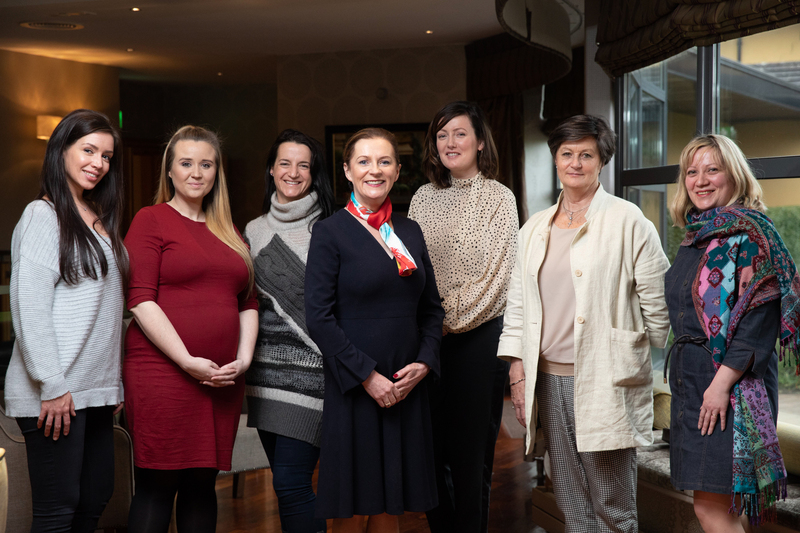 Alison Ritchie’s Group Standing L to R: Claire Guinan, Claire Guinan Art; Gillian Elliffe, Rúna Carewear; Alison Ritchie, Polar Ice, Lead Entrepreneur; Leona Monaghan, 2live Psychotherapy; Joan Mahon, Elevate HR and Coaching; Síle Headen, Machado Men’s Grooming. Sitting L to R: Erica Hargaden, Babogue Sleep Solutions; Jennifer Doyle, Millbee. Anne Cusack’s Group. 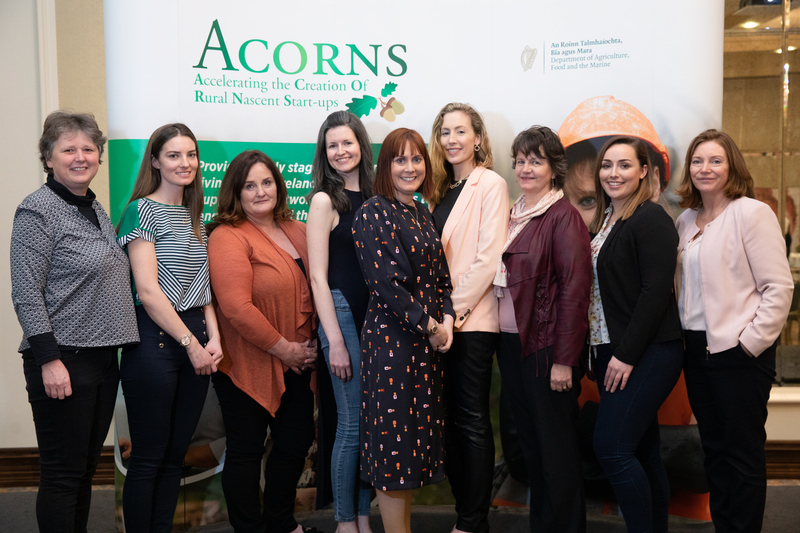 L to R: Nicola Grills, Grills Spirits; Marie O’Dowd, Wilder & Gold; Anne Cusack, Critical Healthcare, Lead Entrepreneur; Linda Reynolds, Ropafit; Phil Walsh, Wild Herb Elixirs; Jennifer Bourke, Snuggle Soother. Caroline McEnery’s Group. 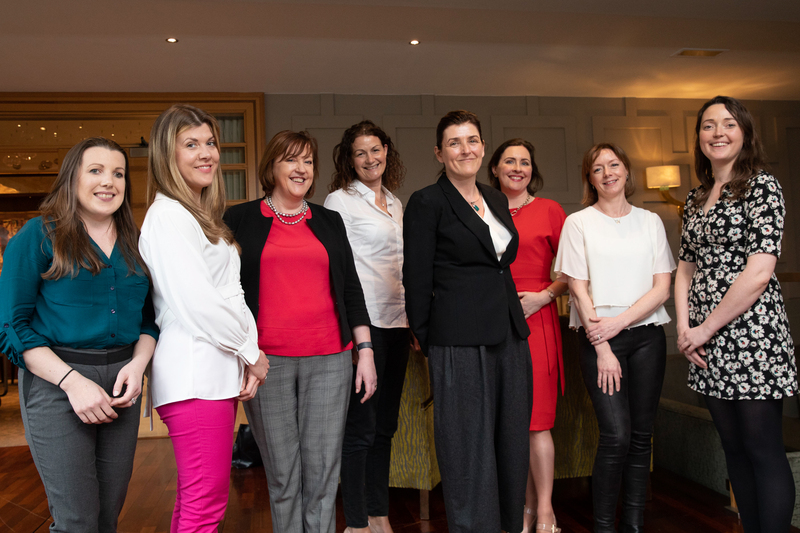 L to R: Karin Grace, Copper Castle Foods; Emily Brick, Athena Analytics; Gerardine Ryan, Allwoman; Aoife Quill, Linn Health; Caroline McEnery, The HR Suite, Lead Entrepreneur; Niamh O’Sullivan, Rockspun; Kate Dempsey, Kinsale Mead; Clodagh Shannon, Nonna Diary; Joann O’Brien, Medrec.io. Deirdre McGlone’s Group. 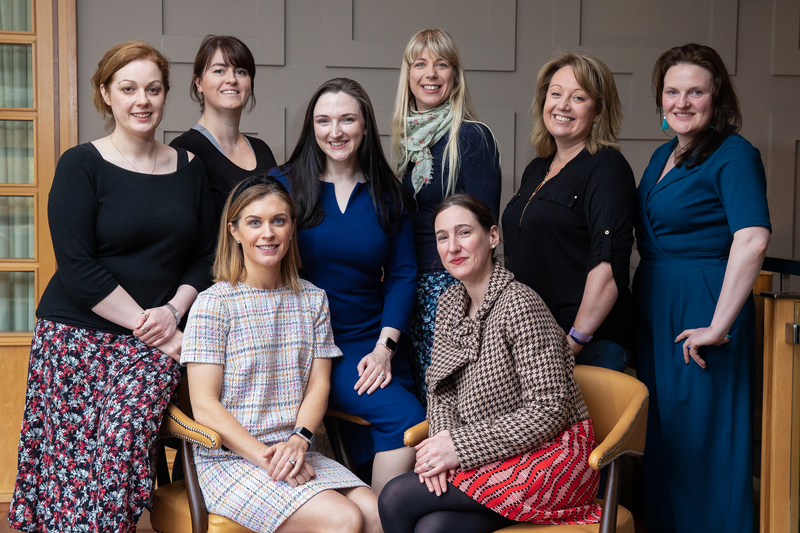 L to R: Laura Hardaker, HardyBaker; Taralouise McCaughey, ZINC; Blaithin Sweeney, Your Wellbeing Warrior; Deirdre McGlone,Harvey’s Point, Lead Entrepreneur; Lorraine Quinn, Harbour Road; Susan Bourke, LegalRSS; Elena Gheghici, Filud.com. Mary B. Walsh’s Group. 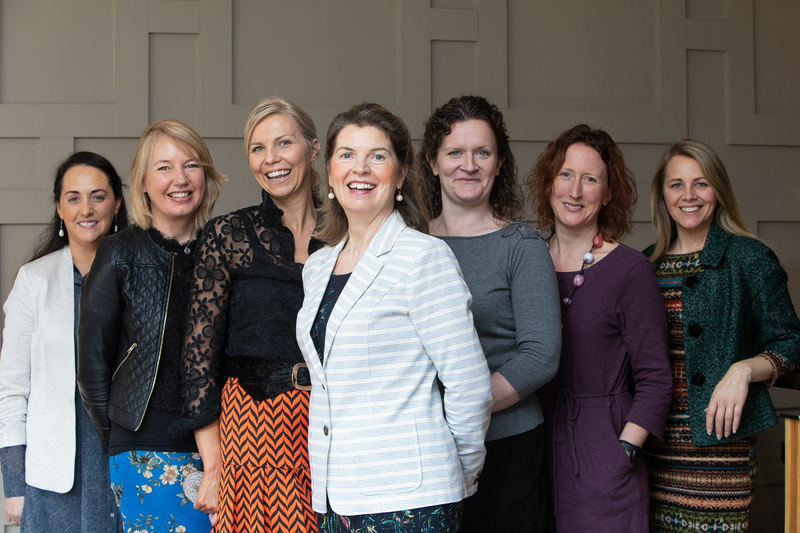 L to R: Kay Lyng, K Kajoux Jewels; Deirdre Doyle, The Cool Food School; Triona Spellman, Darcybow; Mary B Walsh, Lead Entrepreneur, Ire-Wel Pallets; Aisling McElwain, Aisling McElwain Ceramics; Vicki O’Donnell, Wilder Wander; Anna Dobson, Love Mo Chuisle. Triona MacGiolla Rí’s Group. 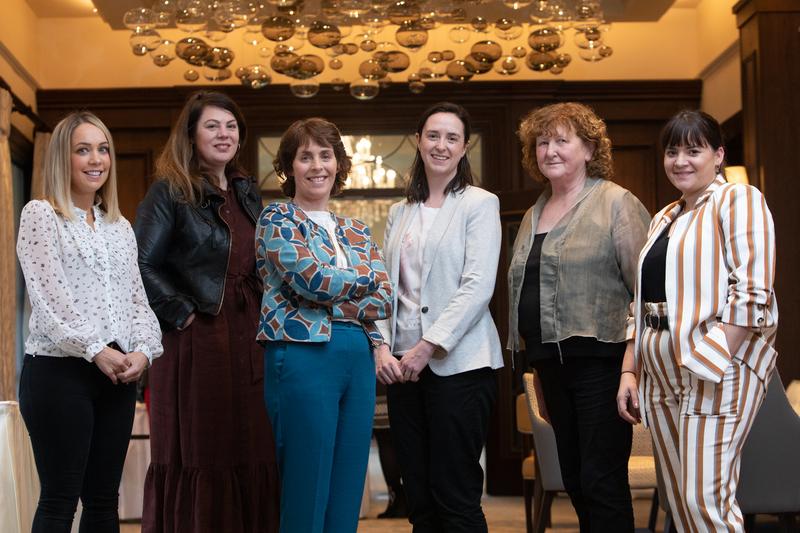 L to R:Michelle Moyles, Ignite Design & Marketing; Catherine O’Brien, ODODO; Asumpta Gallagher, Best Practice; Jane Downes, Part-Time.ie; Triona MacGiolla Ri, Lead Entrepreneur, Aró Digital Strategy; Lisa Clarken, Streamline Consulting; Brid McGing, Mayo Podiatry; Cristiona Ni hIci, Ceile.